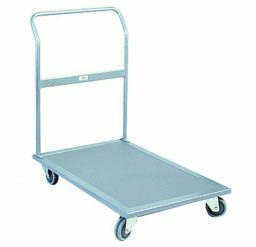 Distributing and moving bulk loads will never be a problem with high quality platform trolleys. 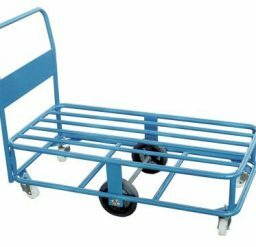 Krosstech offers a range of durable industrial platform trolleys that can carry boxes, sacks, large equipment, and other inventory items. 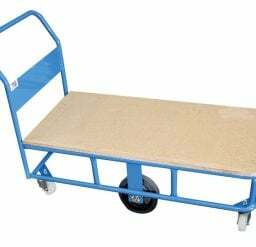 Our range of platform trolleys include a heavy duty flatbed trolley, trolleys with single or double push rail, a high deck platform trolley, and a high deck platform trolley with plywood top. Our heavy-duty products have a large size and load capacity of up to more than 300kg. Here at Krosstech, we provide the solutions to your handling and transport needs.